- Owensboro Lions Club Soap Box Derby Rally Races are two day, four race events with a double and single elimination on each day...Saturday and Sunday. Race Day registration for all four races is $120. Individual Race Fees are $30 for Double and $25 for Single Elimination races. Preregistration is available at $100 per driver for all races. Preregistrations must be received by the Wednesday prior to the scheduled event to qualify for the discount. These amounts are for the first two drivers...more than two drivers from the same family are free. Mail completed Rally form to Lisa Salmon, 10516 Redhill Maxwell Rd, Utica, KY 42376 or email to ldsalmon65@att.net. There are many activities leading up to the race, including the May 11 required in person registration at the Owensboro Lions Gravity Race Track at Ben Hawes Park, 400 Boothfield Road in Owensboro. Race fee is $50. Click here for a complete list of activities for the local Soap Box Derby Race. Deadline for submitting Driver Information form is May 3. Mail the Driver Information form to Nikie Walker, 416 St. Claire Dr., Owensboro, KY, 42303 or email to soapboxderbyowb@gmail.com. For additional information about the race, call Josh Meyer (270-903-0753) or email Derby@owensborolions.com. - The Owensboro Lions Club local Super Kids Race Make plans to participate in our 2019 Local Super Kids Race which will be held in conjunction with the local Soap Box Derby Race on Saturday June 8 (rain date is June 9.) This race is for children (ages 7-18) who have a medically diagnosed disability, which a physician is willing to document. This year we are pleased to announce we are expanding the number of available local race slots from six to eight. If families are interested, the Owensboro Lions Club may consider selecting a driver to participate in the National Super Kids Classic® race in Akron on July 18-20. Although kids able to travel to Akron will be selected first for our local race, any remaining local slots (we have eight slots) will be filled by those who indicate they cannot compete in Akron. 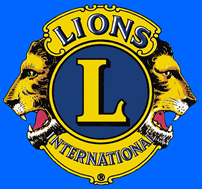 Since the Owensboro Lions Club must pay the required nonrefundable deposit for the Akron race in April, interested persons need to contact Rick Boggess (270-684-4418 or rboggess54@gmail.com) by midnight on Saturday March 30. If more than eight drivers apply, a drawing for the available eight slots will be conducted at the April 2 Owensboro Lions Club meeting and families of the eight drivers will be notified. The track address is 400 Boothfield Road for your GPS system. It is located in Ben Hawes Park which is just off Hwy 60 on the western edge of town. There are signs for Boothfield Road and the park on Hwy 60 and you can only turn one direction so it's pretty simple. There is a Sleep Inn and a Ramada Inn that are the closest hotels to the track. Other properties nearby are a Sleep Inn, Fairfield and Hampton...but road construction will make those "interesting" at best! There are two brand new hotels downtown on the Ohio River that are very nice. Unfortunately none of the properties in town have been helpful with a special rate so we cannot help much there. For most races we'll be at the track getting things ready Friday afternoon and early evening...feel free to come by if you get in town early enough. Whether we're there or not at least you'd be able to see where you'll be racing. We will begin on Saturday morning with registration at 8:00 am and try to begin racing by 9:00 am. Registration is in the lower lot. Again, we're glad you're coming! Let us know if you have any more questions and we'll try to help!